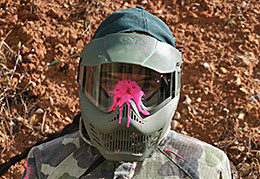 The best way to start your buck's party is with some paintballing.... or some people refer to it as 'buck hunting'. Dress your buck up in whatever you can imagine from a little pink dress, rabbit ears, custom T-shirts to the good old mankini. Your buck will get his photo on the Paintball Park facebook page and if you dress him up good enough he may even be the 'buck of the week'. 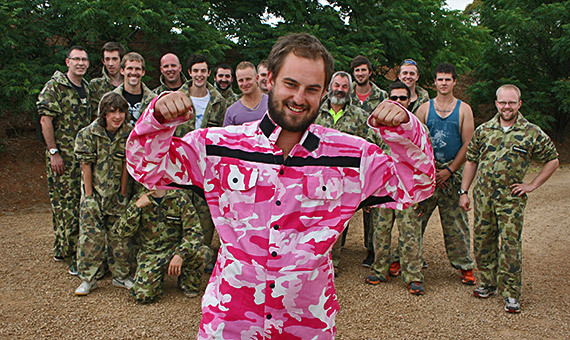 If you don't have an embarrassing outfit for the buck you can hire a pair of pink camo overalls for just $5. Your experienced referee will take you through different fields and play a variety of games... and he'll be sure to throw in some special games for the buck. If you are the best man or in the bridal party there may be some special roles for you too. 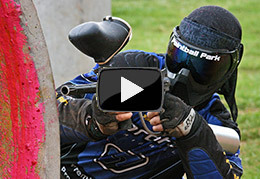 Paintball Park is located in Edinburgh North, just 2 minutes from Elizabeth Shopping Centre. 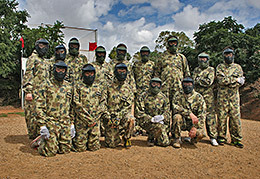 We are approx 30 minutes from the Adelaide CBD so when you are all done shooting paintballs at each other it won't take long to get to the nights events.